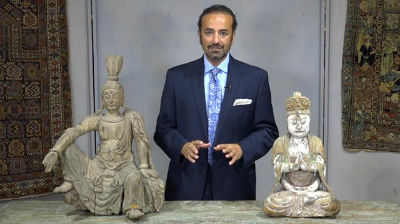 Explore the history of Decorative Buddha Statues. The man named as Buddha lived in the eastern part of ancient India. Furthermore, Buddhism started as a Hindu influenced religion. However, details about Buddha’s life and original teachings as presented in the first century. As a result, BC Buddhist scriptures are important for understanding how Chinese Buddhism developed. As a result of its wide geographical expansion, coupled with its tolerant spirit, Buddhism today encompasses a number of different traditions, beliefs, and practices. During the last decades, Buddhism has also gained a significant presence outside Asia. With the number of adherents estimated to be almost 400 million people, Buddhism in our day became expanded worldwide, and it is no longer culturally specific. For many centuries, this tradition has been a powerful force in Asia, which has touched nearly every aspect of the eastern world: arts, morals, lore, mythology, social institutions, etc. In conclusion today, Buddhism influences these same areas outside of Asia, as well. Furthermore, during the transitional period Burmese Buddha statues became more decorative. With the addition of glass mosaics and thayo lacquer decoration. Rarely, precious or semi precious stones were used. From the earliest times in Myanmar gold leaf was the most popular medium used for decorating not only Buddha statues but also temples and pagodas in Myanmar / Burma. The main characteristics of a Buddha temple are its unique shapes. Because the most well known shapes are the pagoda style in China and Japan. Another is the Stupa, a stone structure built on top of presumed relics of Buddha. Copies of Buddha’s teachings are also buried beneath some temples. If the temple isn’t designed in the shape of a pagoda, there will be a replica of one inside or in the courtyard. Historical temples are very ornate inside with gold and jade, while today’s temples are more modern.The temples of Buddha became designed to symbolize the five elements: Fire, Air, Earth, (square base of temple), Water and Wisdom (pinnacle on top of temple). Inside, the temple became a worship hall, meditation hall, and gold warrior-type figures, which are said to be guardians of heaven. A statue of Buddha will be the main subject of interest. Psychedelic lighting highlights the characteristics of the Buddha figure usually sitting in a lotus position. As a result, some Buddha statues became carved from solid pieces of white or emerald jade. The colors of green, orange, and yellow elaborately adorn the roof and walls inside.